What’s new in The Crew 2? Ubisoft’s team has introduced a new, hyper-destructive mode to all versions of the game….Demolition Derby! How messy is it? In the new mode, all competitors are aiming for the highest score by crashing and smashing through as much as they can….including the other cars. You’ve got two new arenas to tear apart: the Boneville Salt Flat, full of obstacles like falling elevators and giant boxing gloves, and Tucson Aircraft Cemetery, whose name is self-explanatory. 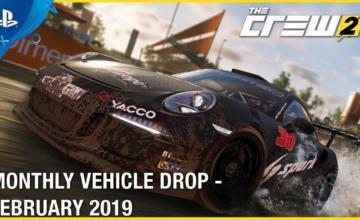 The update also introduces the highly-demanded PVP modes to the game, four new demolition derby cars (completely destructible), new contests including Drift, Alpha Grand Prix and Rally Cross challenges, additional skills and in-game activities. Demolition Derby and much that has to do with it is free, but owners of the Season Pass wil receive two additional machines: the Extra 330SC air race plane and the Rattlesnake Fender Demolition Derby car. The rest of us will gain access to those cars in one week, December 12. The Crew 2: Demolition Derby is live now for Playstation 4, XBox One and PC. Developed by Ubisoft Ivory Tower,* a studio based in Lyon, France, The Crew 2 lets players experience the thrill of the American motorsports spirit inside a fully redesigned USA. 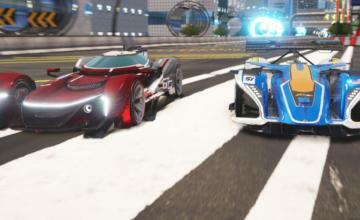 The game’s playground pushes physical boundaries to let driving and open world fans test their skills in nonstop competition and exploration. 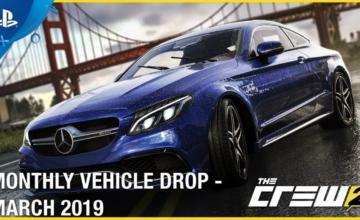 From coast to coast, drivers can explore America and compete to become the greatest motorsports champion by collecting a wide variety of exotic cars, bikes, boats and planes, and dominating the motorsports scene on the land, on the water and in the air. They can find challenges and inspiration among four different motorsports families: street racing, off-road, pro-racing and freestyle, and will be given a broad set of options among a wide selection of vehicle types.